Stilts at the Northwest Point Pond Nature Reserve. Yellow Crowned Night Herons are often more approachable than other herons and egrets. The Turks and Caicos is an excellent destination for birdwatching and is home to wide array of tropical and Caribbean species. Many of the Providenciales resorts have the occasional green heron or cattle egret about, however, it’s necessary to travel to some of the remote areas of the island to spot the larger wading birds and other less-common species. 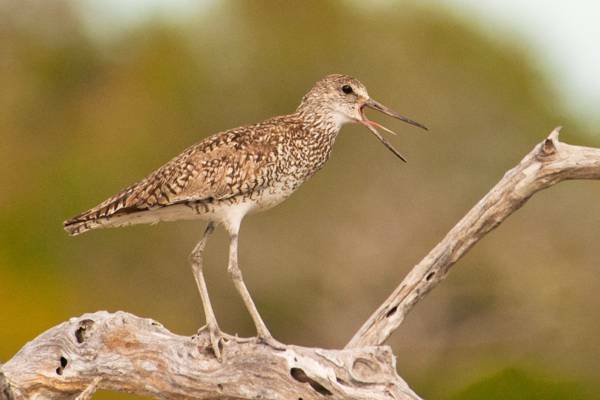 Due to the varied terrain and general low levels of development, many of the less-populated islands in the Turks and Caicos offer excellent birding opportunities, and often better sightings that what is had on Providenciales. 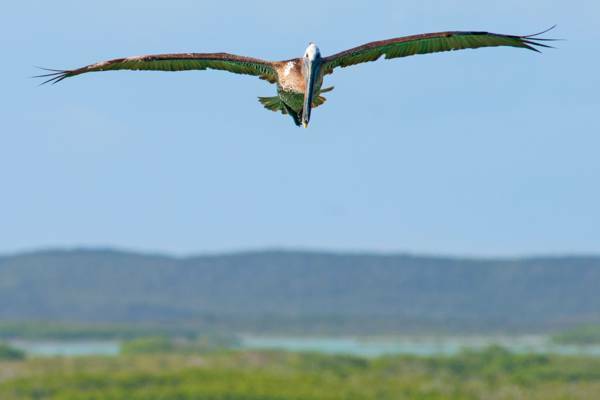 Below we list the best locations on Providenciales for bird watching. 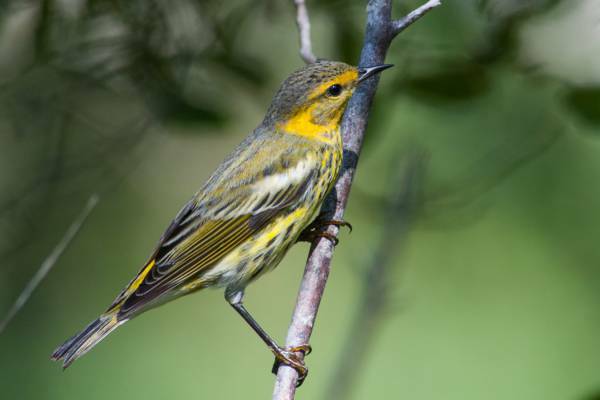 It’s important to understand that there’s no guarantee that you’ll see much when visiting these sites, as sightings vary greatly depending on season and weather conditions. Most of the larger birds in the Turks and Caicos are also quite skittish, and are more difficult to approach than at wildlife sanctuaries in other countries where the animals are a bit more accustomed to people. 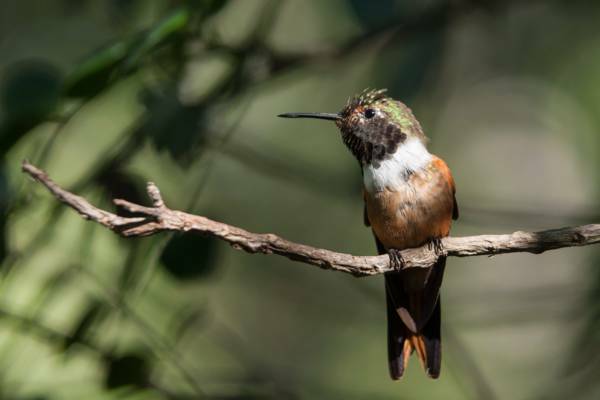 The Bahamas Woodstar Hummingbird is the most common hummingbird on Providenciales. All of the locations listed here are accessed by unpaved roads, which in some cases are little more than poor-condition tracks. Also be aware of crime risks when visiting the remote sections of Providenciales. See our Safety and Crime article. The Northwest Point area is located on the remote west coast of Providenciales and is typically the best spot for birdwatching on the island. 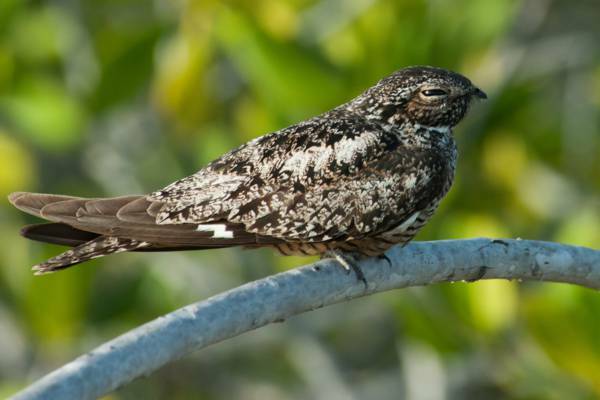 The inland salt marshes of Frenchman’s Creek are the most likely place on Providenciales to spot an Antillean Nighthawk. Two protected areas are found at this region. 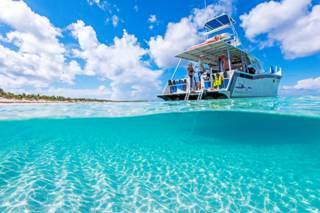 The extensive Northwest Point Marine National Park covers about half of the coast up to the high tide point on the west coast of Providenciales, and much of the shallow ocean inside the barrier reef in the area. The significantly smaller Northwest Point Pond Nature Reserve is home to two inland saline ponds. 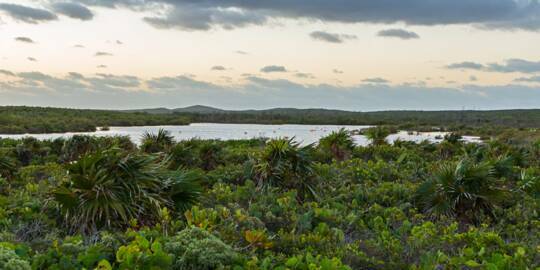 Although a haven for grebes and ducks (including the West Indian whistling duck), the interior pond is surrounded by the densest red mangrove forest on Providenciales, and practically inaccessible. The adjacent coastal muddy flat and hyper saline pond is much easier to get to, and supports a variety of wading and small coastal birds. Much of the Northwest Point coastline is made up of a weathered and intricate limestone surface, locally referred to as ironshore. Small coves and beaches are interspersed along the shore, and ospreys and pelicans glide by regularly. West Harbour Bluff is an excellent spot for pelicans, ospreys and White Tailed Tropic Birds. The outer pond of the nature reserve is found about .3 miles (.5 km) southwest of the extreme Northwest Point outcropping with the small light tower (usually the site of an osprey nest). The pond is hidden behind a small coral dune and light coastal vegetation. For more info on the area, a map, and directions, see our Northwest Point National Park page. Brown Pelicans, Ospreys, Reddish Egrets, Great Egrets, Green Herons, Tricolored Herons, Great Blue Herons, Yellow Crowned Night Herons, American Oystercatchers, Smooth-billed Anis, gulls, terns, stilts, Brown Noddies, sanderlings, plovers, Greater Yellowlegs, willets, Mangrove Cuckoos, Bank Swallows, Thick-billed Vireos. Occasionally: flamingos, Roseate Spoonbills, West Indian Whistling Ducks, cormorants. 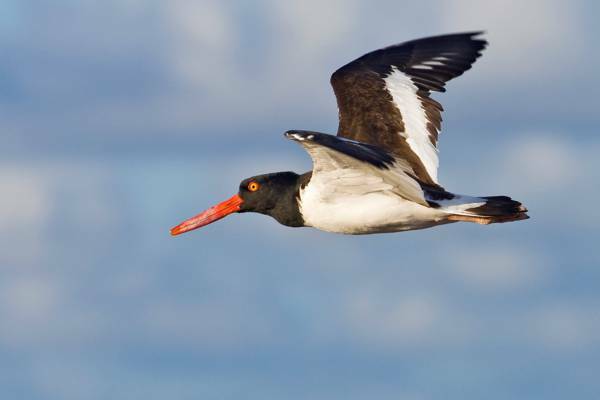 An American oystercatcher at Northwest Point. Also known as Split Rock, Pirates Cove, or Southwest Bluff, West Harbour Bluff is a scenic peninsula and coastal region on the far south-western point of Providenciales. Sheltered beaches, wetlands, limestone cliffs, and a small yet interesting cave are found here in addition to the wildlife. At certain times of the year, this is a great spot for pelicans, ospreys and white tailed tropic birds, as they can be spotted gliding by at eye-level from the top of the cliffs and peninsula. This area is accessed from Tom Lightbourne Road, a five mile unpaved track that leads from the Blue Hills area. For more info and directions, see West Harbour Bluff. 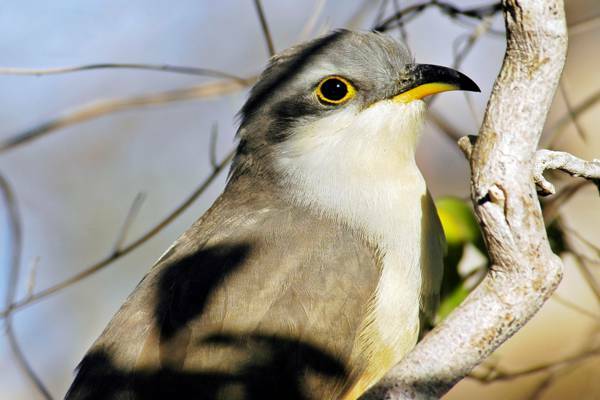 The low dry vegetation found over much of the country is home to warblers, hummingbirds, bananaquits, vireos and Blue-gray Gnatcatchers. Brown Pelicans, Ospreys, White Tailed Tropic Birds, Yellow Crowned Night Herons, gulls, terns, King Fishers. The large Frenchman's Creek and Pigeon Pond protected area is made up of low-lying saline marshes, mud flats and mangroves. Although an excellent area for bird watching, this region is extensive and can be quite difficult to access. The easiest way enter the area is by hiking off of Tom Lightbourne Road, the route that leads to West Harbour Bluff. We suggest venturing with a guide. The shallow ponds inside Frenchman’s Creek are a haven for many birds such as this dowitcher. When driving in, it’s typically best to stop in the vacinity of where the road drops from the hills to the flat wetlands, which is about three miles from the start. A half mile hike directly north in the wetlands leads through the best birding area in the Frenchman’s Creek interior. Green Herons, gulls, terns, Cattle Egrets, Great Egrets, Reddish Egrets, killdeers, Tricolored Herons, ducks, warblers, American Kestrels, Bananaquits, Bahamas Woodstar, dowitchers, mocking birds, kingbirds, Blue Gray Gnatcatchers, Antillean Nighthawks, Greater Yellowlegs, willets, Ruddy Turnstones, Mangrove Cuckoos, Thick-billed Vireo. This three mile section of coastline is a great spot, but as with the interior of this protected area, it’s difficult to access. Due to the inland creeks and waterways, it’s not feasible to approach the coast from the eastern side. It’s necessary to either kayak through the channels to the coast, land by boat, or hike south down from Malcolm's Road Beach. Be sure to consider that the best bird watching area here (where the beach and rock coastline becomes wetland banks) is nearly three miles from the parking at Malcolm Roads Beach. A rough track does lead into the general area, but a capable 4x4 vehicle is necessary. 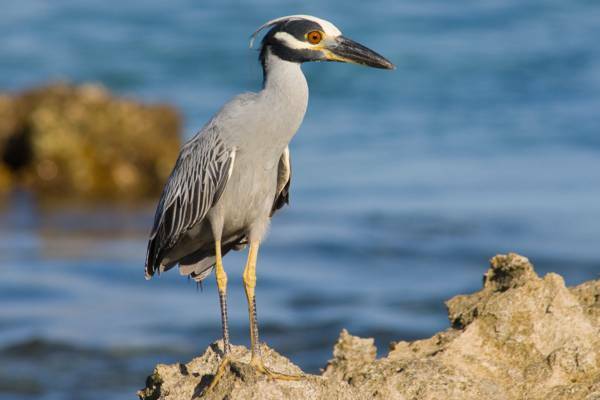 Due to all of the giant land crabs found here, Yellow Crowned Night Herons are prolific. In the water, it’s also common to see the fins of small sharks cruising back and forth in the shallows. Yellow Crowned Night Herons, Green Herons, Great Blue Herons, Reddish Egrets, American Oystercatchers, Ospreys, Brown Pelicans, Antillean Nighthawks, willets, gulls, terns. The newest and most-accessible of the sites listed here, Bird Rock Trail was created by the Turks and Caicos National Trust. Found on the southeast point of Providenciales, this path leads through dry bush forest, marine wetlands and low limestone coastline. Although birds are not quite as prolific here as at other sites, the area is nevertheless intereresting. Bananaquits, warblers, Brown Pelicans, stilts, sanderlings, Green Herons, Yellow Crowned Night Herons. Last reviewed by an editor on 10 January 2019.